Strategy and booklist for General Studies Paper-1: Indian Society for UPSC Pre | IAS EXAM PORTAL - India's Largest Community for UPSC Exam Aspirants. There is some myth among student regarding this section of the syllabus , in this article we will see the myth and importance of this section and sources from where it can be covered. 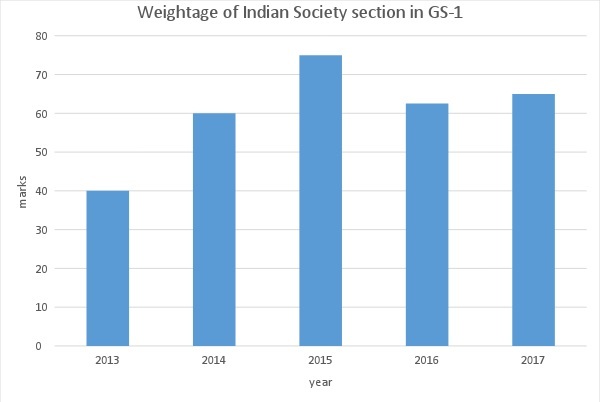 Syllabus of the society section is very helpful in essay writing and also in solving case studies in GS-4. Above 3 points will help in writing good answer in the exam. You do not need to study Indian society because it’s very general which everyone knows it. Based on your general awareness you can write descent answer in exam. Based on your general knowledge you can write answer but there is no guarantee that your general answer suits the demand of the answer. So studying topics given in syllabus is important. 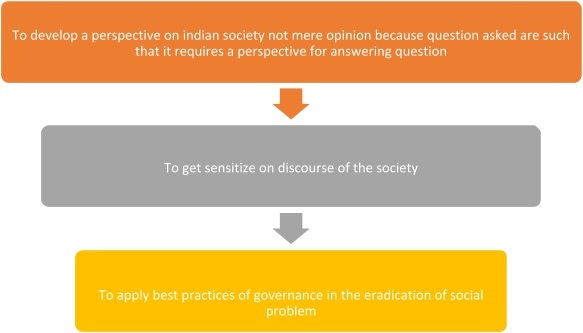 For example take question asked in CSE-2015, Describe any four cultural element of diversity in India and rate their significance in building national identity. In the above question everyone will write about four element but majority will not be able to do justice with 2nd part of the question unless they have read properly because you have very limited time in exam to think and write. Let’s take another question asked in CSE – 2016, ‘’To what extent globalization has influenced the core of cultural diversity in India? Explain”. Here in the above question everyone knows about the globalization but here question is asked about its influence on core of cultural diversity which require specific answer to get good marks. 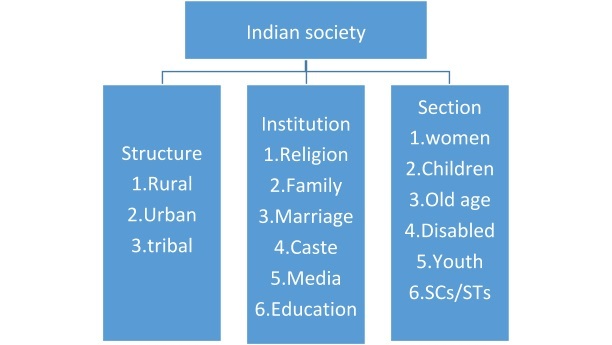 You should read Indian society in this broad perspective to excel well in the exam. So having seen the advantage and importance of this section of the syllabus, student should not ignore this syllabus and should not depend only on newspaper for this section , a solid base is needed to score well.